Facebook's sluggish stock has dented investor confidence in newly public Internet companies -- and Groupon, which reports earnings late Monday, is nearly at the bottom of that pack. With Groupon (GRPN) shares languishing below $7, the chorus of critics' longtime complaints about the company are growing louder. 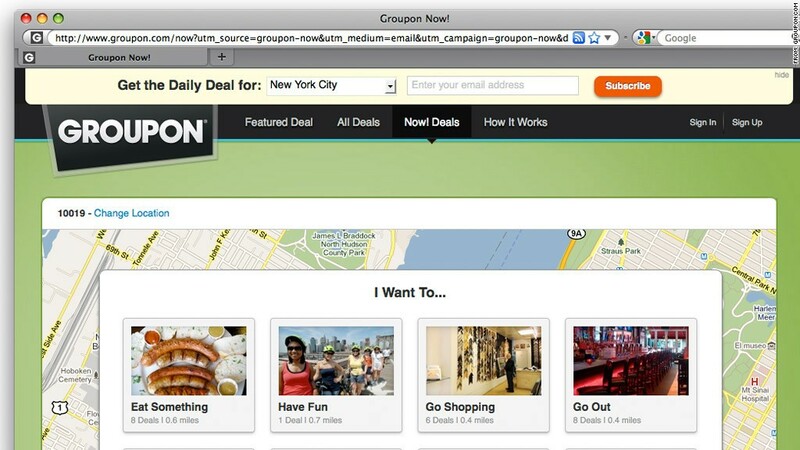 Groupon's second-quarter financial report needs to prove that it's a grownup company with a real business plan. Among the litany of concerns: Critics say Groupon, and perhaps the entire daily-deals market, has no viable long-term model. Small businesses frequently report that signing on with Groupon cost them loads of money, with some even claiming that the deal forced them to close up shop for good. Investors and analysts seem to have a similarly dour view. Groupon's shares are down almost 75% from their November IPO, and they're off nearly 65% in 2012 alone. "Sentiment in the name appears to remain weak," JPMorgan analyst Doug Anmuth wrote in a note to clients last week. Other analysts went further. Sterne Agee analyst Arvind Bhatia downgraded his rating on Groupon to "neutral" from "buy" on Wednesday. "Given the recent decline in the share price, we are clearly late in the downgrade," Bhatia wrote. He cited a long list of threats to Groupon, including weaker general economic conditions and a strong second quarter for rival deal site LivingSocial. Bhatia also called attention to how Groupon accounts for its revenue from Goods, the company's relatively new product sales business. Bhatia emphasized that he thinks the Goods accounting is "appropriate," but when mixed with other sectors of the business it appears to be "artificially boosting revenue growth." This year has been a rough one for the new crop of public Internet companies, particularly Facebook (FB), whose stock has fallen by nearly half since its problem-ridden May IPO. But Groupon isn't the worst off. Shares of FarmVille maker Zynga (ZNGA) are below the $3 mark. One notable exception to the Internet slump is LinkedIn (LNKD), whose shares are up about 65% this year. The business networking site reported strong second-quarter earnings earlier this month.